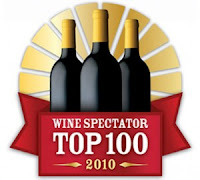 The Wine Spectator released its Top 100 Wines 2010 list a few months ago. It is not so much a list of the best wines, but more a list of the wines that were most successful in the American market in the year 2010. It is a subjective selection and ranking of the Wine Spectator, on the basis of 4 criteria: (1) the tasting results, i.e. the quality of the wine, (2) the price-quality-ratio, (3) how the wine sells in the American market and (4) how “excited” the jury is about the wine. About 20.000 wines were tasted and about 5.000 of them scored more than 90 points on the 100 points scale. The Wine Spectator is the most influential wine journal in the US. 5 German and Austrian wines made it to the 2010 Wine Spectator Top 100 list. A Weingut in the Mosel valley that was established about 50 years ago. It is now owned and run by the founder’s grandson, Nik Weis. One of the Top 16 German wine makers in the Feinschmecker ranking. Most of the elegant, fine and light wines are exported. 30 hectares. Schloss Vollrads is a historical monument and one of the art-historical highlights of the Rheingau region in Germany. It is also one of the oldest wine estates in the world; wine sales have been documented as early as 1211 and ever since. Schloss Vollrads is a rather large estate by German standards, with 60 hectares of vineyard land, and produces exclusively Riesling wines. Owned since 983 by the Archbishop of Mainz and since the 1218 until 1997 by the family of Greiffenclau, the heirs of the Lords of Winkel; now owned by a local government owned bank. A top producer of Riesling wines, in particular fruity sweet and noble sweet wines, who is well presented in the major wine markets in the world. One of the Top 16 German wine makers in the Feinschmecker ranking. Owned by the Japanese Suntory company and Wilhelm Weil, the fourth generation of the founding family. 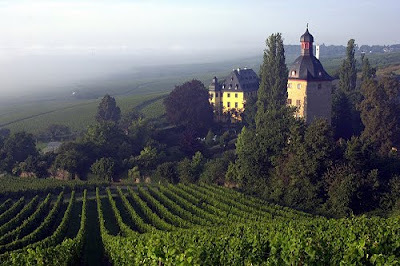 A rather large estate by German standards, with 75 hectares of vineyard land. Weingut Knoll in the Wachau is a family run estate with 15 hectares of land. 45% of the vineyards are planted with Grüner Veltliner and another 45% with Riesling. Federspiel is the middle level of the new Wachau 3–tier quality system. Weingut Knoll’s wines are generally regarded as late developers with good maturation potential. One of the Top 11 (5 star) Falstaff winemakers in Austria. Weingut Stadt Krems is the City of Krems’s winery. With over 550 years of history, Weingut Stadt Krems is one of the oldest wine producers in Austria. The flagships of Weingut Stadt Krems are Riesling and Grüner Veltliner (over 90 %). The vineyard area totals 30 hectares, including the best terraced locations of the City of Krems.